Many of the world's truly great gardens are a heady synthesis of exquisite horticulture, framed and enhanced by great garden architecture and furnishings. Where a designer places a seat, for example, can reveal a great deal about how they want the garden to be perceived. Dumbarton Oaks, located in Washington, DC, and designed by brilliant landscape architect Beatrix Farrand, is a perfect example of a garden in which the designer's hand is evident in every detail. Over the years, acclaimed garden furniture designer and furniture historian John Danzer has worked on various projects at Dumbarton Oaks to study and reproduce Farrand's many designs for this iconic American garden. 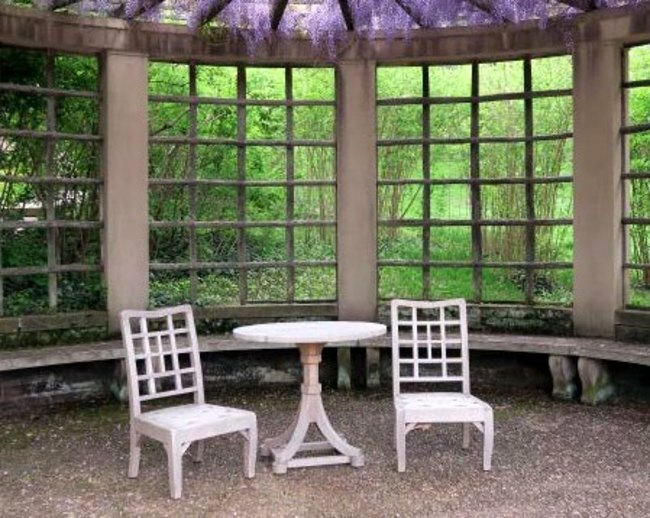 In this talk, John will discuss his work at Dumbarton Oaks and other great gardens, his tales of discovery, and how the intentional placement of furniture and appointments can enhance a garden. 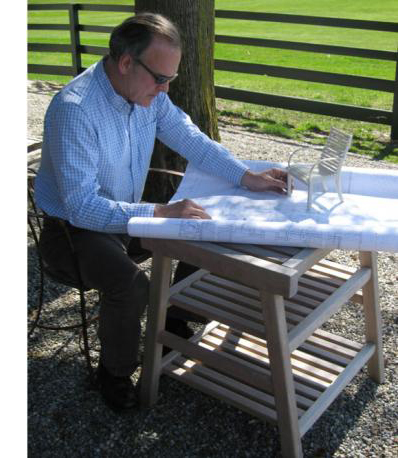 John Danzer learned his trade by studying historic gardens in Europe and America, where the furnishings and their placement were integral to the design process from the start. His company, Munder-Skiles, produces an extensive range of high-end garden furniture, influenced by many styles, from traditional to modern. John has been involved in the documentation, restoration, and replacement of pieces at Dumbarton Oaks; The Mount, Edith Wharton's home in Lennox, MA; Washington Irving's Sunnyside in Tarrytown, NY; and Montgomery Place, on the Bard College campus in Annandale-on-Hudson, NY. He has explored mid-20th century modern houses and gardens—from Russel Wright's Manitoga, in Garrison, NY, to the home of Wharton Esherick, in Malvern, PA.